On Honest, each upvote costs a fraction of a bitcoin. When you upvote, this amount is distributed to earlier voters and the author of the post. If many people vote on the same content after you, you profit. Every transaction happens peer-to-peer without any intermediary. It means that the users receive the bitcoin as soon as the upvote is made. Read more about this feature here: https://honest.cash/honest_cash/new-on-honest-cash-get-paid-for-upvoting-and-promoting-good-content-early-on-127. We display upvotes and the corresponding transactions under every post. 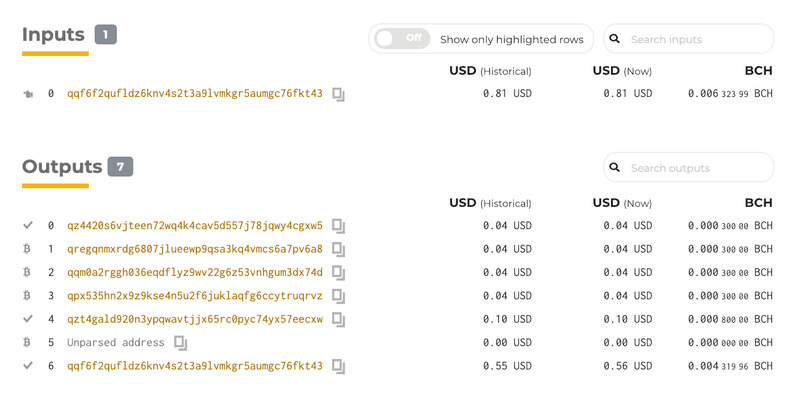 For some users it may seem a little bit hard to explore these transactions and correctly interpret them. It is best to understand it through an anology. If you go to a restaurant and pay cash, you give the cashier few coins and notes that are equal or bigger than the invoice amount. If the amount is bigger than that, the cashier gives you back some change. The inputs in every bitcoin transactions are like these coins and notes that you would normally use at a restaurant. You have received them previously from other transactions and they are waiting in your wallet to be spent. I transfer here $1.27 USD to another address. I combine and send all the small coins (inputs) that I received as tips and rewards from Honest upvotes. The receiver gets one coin in value of $1.27. Imagine now that you are the cashier. You get all the small coins and you go to a nearby shop to swap it for a $100 note. You have a new unspent note in your wallet. 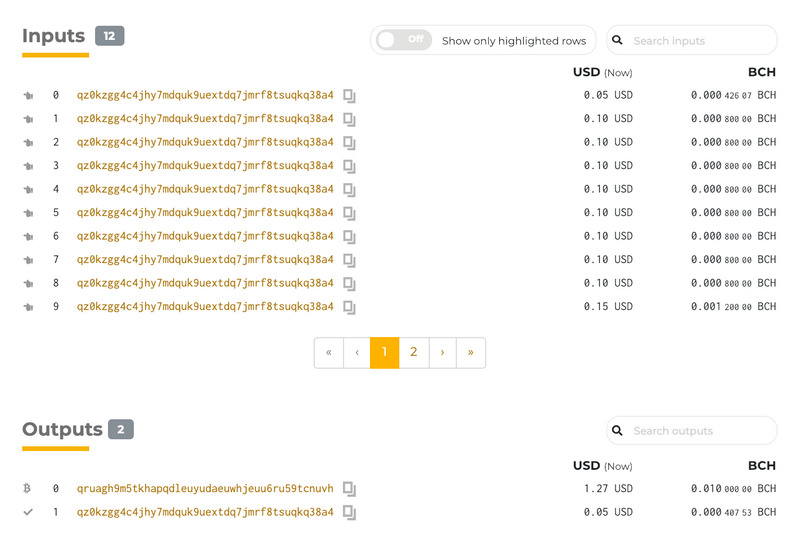 In the bitcoin world, you would call this one an Unspent Transaction Output, or shortly UTXO. UTXO are the new coins that you can use to pay for your next dinner. Next, you might have seen that there are some independent websites displaying how much transactions have been made on Honest. How is it possible? Do we somehow mark the coins that are send over Honest? Just like you could simply write something on physical notes, you can also write it on the coins that you send. We add some text to every transaction with the capital letter "H" and the post ID that is upvoted. It is listed in the explorers as the OP_RETURN data. You can read more about it here. Other services like trends.cash and honest.whotipped.it crawl and analyze the transactions and can create some nice usage graphs based on it! How can we make it easier for new users, especially those that are new to crypto, to use Honest? It would be more convenient and unique to Honest Cash to change "Upvote" into "Bitvote", just my opinion!